I am Suhas Reddy, graduated BBM last year and have been working on my business model and project. As a person, I do not wish to make only money out of business. 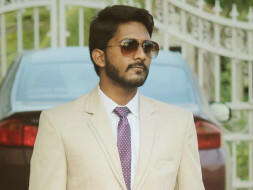 I want to be a part of a social cause and provide a solution to the problem through my business project - I want to be a social entrepreneur, balancing both economics and ecosystem -in the process of analyzing the detailed segments of the market has sparked the thought to came up with my project - "S.A.V.E.D. Energy Resources & Products" to make our nation - India to be independently sustainable on energy resources by reducing the our nations dependency on imports of Fossil fuel based energy resources. kindly help me raise funds to make an effective, viable and sustainable change in our nation and be a part of it. kindly help S.A.V.E.D. Energy Resources to get established for the present and future generations to make them independently sustainable on energy resources. kindly help me to seed fund my project and establish a unit to accomplish my cause of balancing both economics and environment of our nation. With increasing fuel prices, environmental concerns, and a growing transportation sector the India will need to cut down on petroleum based fuels while investing and researching in various renewable energy sources. Bio-diesel is the fuel which is produced from different feed stock like plant based oils or animal fat or grease. It is a clean burning and renewable fuel. It is currently used in blended forms with petroleum diesel in diesel engines. Even a 20% blend of bio-diesel with 80% petroleum diesel reduces emissions significantly and helps the environment. Biodiesel can be used in pure form (B100) or can be blended with petro-diesel in the form of B2 (2% biodiesel, 98% petroleum diesel), B5 (5% biodiesel, 95% petroleum diesel), B20 (20% biodiesel, 80% petroleum diesel) and B100 (pure biodiesel). Biodiesel has helped several countries in reducing their dependence on foreign oil reserves as it is domestically produced and can be used in any diesel engine with little or no modification to the engine or the fuel system. Bio-diesel is clean burning fuel and has no carcinogenic emissions and gases which cause global warming. Bio-diesel has very low toxicity compared to petroleum bio-diesel as it is carbon neutral. I will be utilizing the funds in developing a pilot scale plant to generate the supply and for the current demand and then commercial it on larger scale to supply the nations demand with the support of Government of India. The success of the pilot plant established using crowd funds will be the first step to the glory of being independently sustainable on energy resources for the present and future generations balancing the economics with ecosystem. This project has the ability to make our nation carbon neutral. "India is one of the fastest growing economies in the world. The Development Objectives focus on economic growth, equity and human well being. Energy is a critical input for socio-economic development. The energy strategy of a country aims at efficiency and security and to provide access which being environment friendly and achievement of an optimum mix of primary resources for energy generation. Fossil fuels will continue to play a dominant role in the energy scenario in our country in the next few decades. However, conventional or fossil fuel resources are limited, non-renewable, polluting and, therefore, need to be used prudently. On the other hand, renewable energy resources are indigenous, non-polluting and virtually inexhaustible. India is endowed with abundant renewable energy resources. Therefore, their use should be encouraged in every possible way .”, MNRE Policy, GOI. “India’s energy security would remain vulnerable until alternative fuels to substitute/supplement petro-based fuels are developed based on ingenuously produced renewable feed-stock's." 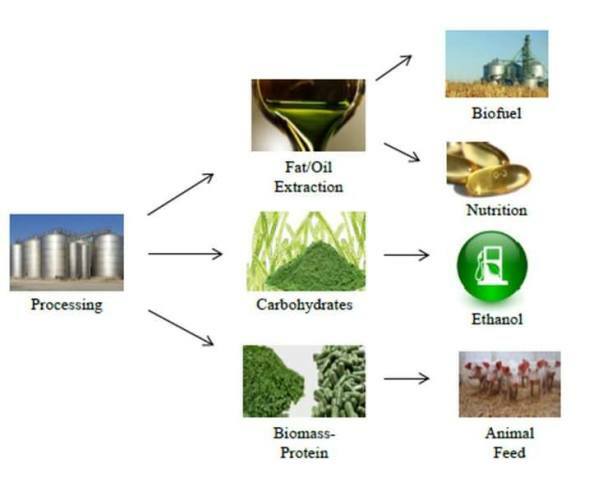 To increase the productivity of the feed stock by 3 X second generation fuel yields for production for bio-energies. This project focuses on producing high production output compared with that off the current agricultural crops as feed stock. My project also provides a solution for the food vs. fuel problem for generating bio energies. This subject used for production of bio-diesel is considered as the solution for alternative fuels it can be blended as well as used as B100. The residue of the subject has a huge market demand in the high value products across the globe. Many researches and expertise across the globe have identified India's Potential to be the world leader in production of the subject of this project. I want to create awareness as well as production of the 3rd Generation Bio-fuels in our nation, India that will be balancing both the economic and environmental factors of our ecosystem. For further details or project over-view or any kind of queries regarding the cause contact me in person. Thank you for believing in my dream and to extend your support. It is almost a month I've posted in Milaap for fundraising to raise the fund for my project initiation. Withdrawn funds would be used to purchase air compressor for 25 liters water treatment. I truly appreciate your kind support and an attitude to encourage young entrepreneurs. I will keep you updated with the progress of my project work. Thank you once again.